Houston’s abundance of small business resources makes it fertile soil for entrepreneurs, but as any gardener would tell you, it’s the hard work—not the environment—that truly helps something grow. Sarah Lieberman, the owner of Dandelion Café in Bellaire, is a testament to this. While she is fortunate to have found a central location in a thriving commerce center in Bellaire, the café wouldn’t have taken root without her relentlessness effort and refusal to fail. The seed for the idea might have been planted in Sarah’s as she grew up in her parents’ restaurant in Dover, Delaware and while she worked at coffee shop while studying Industrial Design. But, it wouldn’t be until 2014, after getting her hands dirty in the restaurant industry in Houston and working for catering companies that she dug into the Dandelion Café project. At first she faced some challenges—A few major banks weren’t ready to fund the concept—but Sarah had a resilience that kept her moving forward. Fortunately, it wasn’t long before she approached the Bayou Microfund and instantly sold us on the idea, securing a $10,000 loan. Sarah made the most out of the what was available to her: She found mentors in SCORE and at local coffee distributors, secured free furniture from other cafes during their renovations, and negotiated equipment prices to ensure she’d come in under budget. Enthusiastic about Sarah’s energy and resourcefulness, Iberia Bank supplemented the Bayou Microfund loan a commercial loan to help continue development. 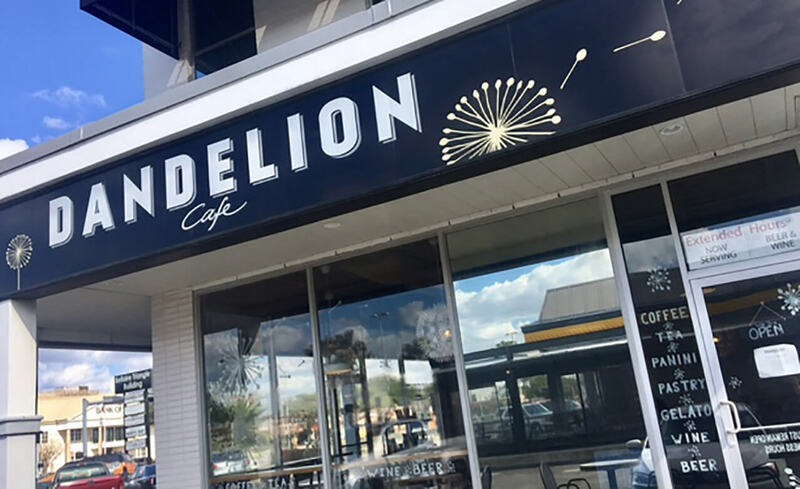 Now, the buildout for Dandelion Café is underway and will be opening its doors later this summer. We look forward to our first cup of coffee in her café, and hope that other Houston entrepreneurs follow her example and bring more ideas to life.